This essay has two purposes. The first is to diagram for LibCom readers the complexity of loyalty and perception in an exceptionally intelligent, gifted, and brave young Communist intellectual and poet fighting in the Spanish Civil War and giving his life, not for the Republic, but for the social revolution already underway. The second is to rescue him from the semi-oblivion to which various interests seem determined to consign him. 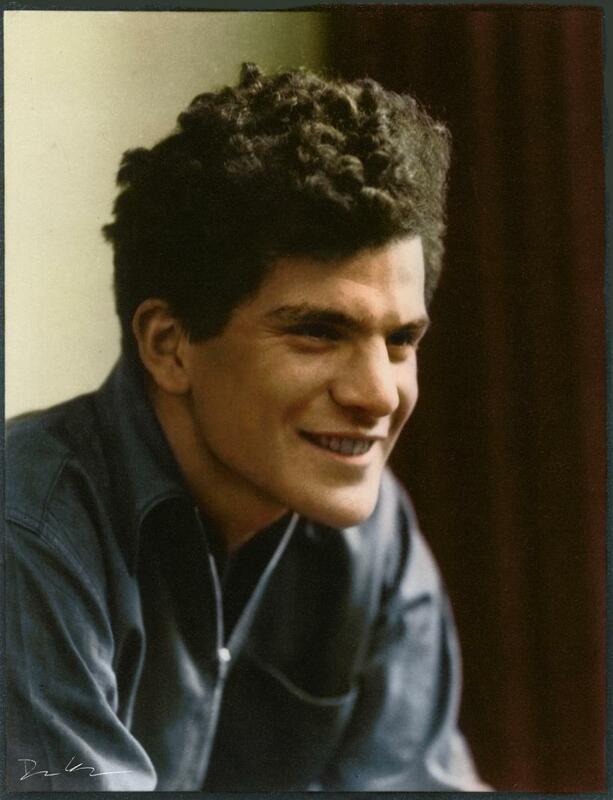 If you search for John Cornford on the web, you will find a couple of his poems (one of them, “Full Moon at Tierz,” to which much of this essay is devoted, severely truncated) and his Wikipedia entry, which is an adequate introduction. But not until the second page will you find his biographical listing on the site of his publisher, Carcanet Press—and you would have to click on the link below the brief bio to discover that his Collected Writings were reissued in spring 2016 by this publisher in a revised and expanded edition. So you can be forgiven for not knowing that the very first man to go from England to fight the fascists and the first to recruit and bring to Spain more volunteer fighters while the International Brigades were still being assembled, a fine poet and a superb organizer, was also a lineal descendant of Charles Darwin, and that today his body remains lost in an unmarked mass grave. I will add that Franco banned the works of Darwin from Spain as one of his first acts on seizing power in 1939 and that the ban on their publication in Spain remained in force until 2000. There are many powerful people in the world, including the incoming Vice-President and Education Secretary of the United States, who would like to see Darwin banned and buried along with his great-grandson. Eighty years ago last December 28, a young Englishman named John Cornford was cut down by fascist machine-gun fire while trying to free the town of Lopera near Córdoba in Spain. He had turned twenty-one the day before. John was the son of Francis McDonald Cornford, Professor of Ancient Philosophy at Cambridge University, and Frances Crofts Cornford, a well-known poet. By way of his mother, John was also a great-grandson of Charles Darwin. He was brilliant, charismatic, and strikingly handsome, a gifted poet himself, who often argued with Frances about the direction modern poetry should take. After a brief stint at the London School of Economics, John had been about to graduate from Cambridge with a first-class degree in History. A rising star in the Communist Party, he had been pursuing his degree while tirelessly organizing students to support workers' rights and oppose nascent fascism in the UK. He had also fathered a son, James Cornford, with his lover Ray Peters, a Welsh miner’s daughter whom he had met in Party circles in London. In January 1936, after a brief period of dictatorship, elections had been held in Spain under the newly formed Second Spanish Republic. The winner was the Popular Front, a coalition of the Socialist party, the PSOE, some left-liberal parties, and the small Spanish Communist party. The coalition was dominated by the Socialists, then the largest political party in Spain. However, the largest workers’ organization was the anarchosyndicalist CNT/FAI (National Labor Confederation/Iberian Anarchist Federation). Some anarchists, despite their opposition to the State, also joined the Socialist-led cabinet. The new government immediately began a program of major reforms, including taking the schools and the health care systems away from the Catholic Church and beginning to break up large landed estates. This enraged and terrified the ultraconservative, semi-feudal ruling class in Spain, especially since the peasants, who often lived in near-starvation, began seizing landed estates and carrying out spontaneous reprisals against landowners and against the parish priests who often served as their agents. Factory owners also began to flee the country as workers took control of production. Soon large areas of Catalunya and Aragon were liberated. In July, a group of Spanish generals, including the future dictator Francisco Franco, led an attempted military coup against the Republic. The coup was beaten back across much of Spain, including Madrid, Barcelona, Valencia, and most of the north, by hastily formed workers’ militias and elements of the Army that remained loyal to the government. But the fascist armies continued to advance, conquering cities in the South and beginning the mass slaughters of Republican and revolutionary militants and sympathizers that were to characterize Franco’s conduct of what was now a full-scale war. Left parties and working-class organizations elsewhere in Europe, already deeply worried by the fascist takeovers in Italy and Germany, were alarmed, but there was as yet no coordinated response. Meanwhile, Franco’s forces were joined by troops from the Spanish Army of Africa, airlifted in German aircraft, from the Spanish colonies of Morocco and the Canary Islands. Shortly thereafter, Hitler and Mussolini sent “volunteers” from their own armies to join the rebels, eventually totaling 100,000, along with their latest military aircraft and artillery, which their generals were eager to test on “Bolsheviks”. John went to Spain in early August with the idea of working as a journalist, but soon realized he would not be effective in that role because he knew no Spanish. Moreover, he arrived in Barcelona to find it under the control of armed workers led by a joint militia committee of the PSOE-UGT and the CNT-FAI, together with other smaller revolutionary parties. Everywhere John saw scrawled on walls and expropriated vehicles the initials of the workers’ parties and unions and the acronym “UHP,” which stood for “Uníamos Hermanos Proletarios”—“Let’s unite, proletarian brothers.” With the Austrian Marxist journalist Franz Borkenau, John toured the nearby Aragon countryside, where he saw peasant collectives that had seized the land and equipment of the big landlords who had fled or been executed. They were working the land cooperatively, bringing in the harvest and sharing the farm machinery. The villages were fortified, with “competently made” sandbag barricades manned by armed peasants; but none of them were yet pooling their forces to go on the offensive against the fascist assault. John understood that he was witnessing the social revolution. He wrote: “In Barcelona one can understand physically what the dictatorship of the proletariat means [...] The real rule is in the hands of the militia committees. There is a real terror against the Fascists. But that doesn’t alter the fact that the place is free, and conscious all the time of its freedom. […] It is genuinely a dictatorship of the majority, supported by immense majority.” But John was restless in Barcelona, and after traveling in Aragon he had become deeply worried by the lack of central coordination in the military defense of the revolution. He decided to fight, and on the spur of the moment joined the militia of the POUM (United Marxist Workers’ Party), a relatively small independent revolutionary group and the same one joined in the following year by George Orwell. So he became the first Englishmen to go from England to fight the fascists in Spain. As our decisive hold is lost or won. Announce our testing has begun. In the next stanza, the tone shifts again to awareness of the isolation of the revolutionary militias in Spain in those months before the International Brigades were even proposed: “But now by Monte Aragon/ We plunge into the dark alone,/ Earth’s newest planet wheeling through the night.” It is notable, by the way, that although the POUM militia had only a tiny minority of Communist Party members and ex-members like the “German comrades,” John writes as if the force he is fighting with is part of the world communist movement—and as if the Brigades already existed. Now, with my Party, I stand quite alone. Fuse in the welded front our fight preserves. October in the rhythm of its run. The Russian revolution was of course his example of a successful proletarian revolution, so it is the “rhythm” of October 1917 that he wills to supersede his own efforts. Oranienburg and freedom’s crooked scars. This was by the time Auden wrote a widely shared sentiment across the European Left. But most of a year earlier, John, a true internationalist, feels accountable to the mainly working-class Communist and Socialist prisoners being tortured and used as slave labor in the camp, the erstwhile comrades of his German fellow-militiamen, even as he is unhappily aware that he and the movement cannot yet help them: “We can do nothing to ease that pain/ But prove the agony was not in vain.” It’s worth noting too that the phrase “freedom’s crooked scars” echoes “crooked as the road that we must tread”. He knows that there will be zigzags and setbacks on the road to collective human freedom. From Clydeside to the gutted pits of Wales. Here, too, our freedom’s swaying in the scales. Freedom was never held without a fight. This is of course not a literal image. John means partly “stand by” in the sense of “stand with” in solidarity, but it is also a vision from the Internationale: “The international working class/ Shall be the human race.” He wants the sacrifice he and his comrades may be about to make to be justified by ultimate victory and forcefully acknowledged by the victors. The poem concludes with a couplet that has been criticized for being Communist rhetorical cliché: “Raise the red flag triumphantly/ For Communism and for liberty.” In fact, as Stan Smith points out, the lines are adapted from a famous Italian workers’ song, dating from 1908 and therefore not specific to the Communist Party, that John would have known, “Bandiera Rossa” (“Red Flag”): “Bandiera rossa la trionferà/… Evviva il comunismo e la libertà! (Red flag will triumph/ And long live communism and liberty.” And John’s intended audience, as the earlier political references (“the Seventh Congress,” Leipzig”, and so on) make clear, was not the bourgeois literary establishment but his fellow revolutionaries, who would immediately have recognized the source. Note also that John’s adaptation makes the “triumph” conditional on “our fight [being] won”. He knew by now in his bones that “facts are stubborn things.” Tragically, what he did not know was that the USSR, which he believed along with millions around the world was creating socialism, had in fact become a state-capitalist dictatorship, and that the cause he was fighting for would be betrayed by Stalin in the opportunist interests of Russian foreign policy less than three years after his death. At the same time, he recognized actual nascent socialism when he saw it in the worker-run factories and fields of Catalunya and Aragon, and was moved to defend it with his life. It is evident from this poem and John’s other writings about Spain that he had great respect and admiration for the Spanish workers, including the anarchists and the Poumistas. Though strongly committed to the Communist Party, he was nonsectarian in his attitude and way of thinking. The happiest time he spent as a militia fighter with the POUM was with some German volunteers, who had quit the Communist Party in Germany because of its failure to fight the Nazis effectively owing to the catastrophic policies imposed from Moscow. He was in some awe of them for what they had endured and viewed them as true revolutionaries despite his own loyalty to the Party. When John returned to England, he requested support from the Communist Party leader Harry Pollitt to bring a group of British volunteers to Spain. This was entirely his own idea. The French Communist leader Maurice Thorez was to propose the International Brigades to the Comintern a few weeks later. In effect, then, John’s group formed the first nucleus of the Brigades. Pollitt agreed to pay the expenses for their equipment and travel. John came back to Spain in early October with a group of eight. They were assigned to the Paris Commune (“Dumont”) Battalion under French command, together with some comrades from the Irish Free State who were risking prison on their return to Ireland because their conservative Catholic government sided with the Church and the fascists against the Republic. The battalion was immediately ordered to Madrid to defend the city against a major fascist offensive. John fought in the Battle of University City, which was crucial in beating back Franco’s Moorish troops after overwhelming losses. There he suffered a minor head wound from shrapnel. Recovering, John was made section leader, and he led his section in the battle of Boadilla, his second engagement in the defense of Madrid. Though the Brigadistas took brutally heavy casualties and had to retreat at first, the fascists were beaten back once again in the counterattack. With Madrid safe for the moment, John’s unit was ordered south to Andalucía, as part of a plan to retake the city of Córdoba, a provincial capital, from the fascists. His battalion, however, was under a cowardly, inept French commander (shot as a fifth columnist, probably unjustly, the very day John was killed). His company, led by George Nathan, an experienced British officer, was sent into an impossible, highly exposed position in an attempt to retake the town of Huesca, the main outpost of the fascist forces near the border of the Republic-controlled province of Jaén. Undermanned and poorly equipped, the British waited for reinforcements and supplies that LaSalle, the battalion commander, never sent. Under withering machine-gun fire from the fascists, the section took appalling casualties and prepared to retreat. However, the company broke out and was able almost to reach the walls of Lopera being driven back to the ridge, again with heavy casualties, under bombardment from heavy artillery and strafing from the air by new German planes. This time Nathan was forced to order a retreat back to what is still known today in Lopera as la colina inglés, the English hill. On the day after his twenty-first birthday, John broke from the almost nonexistent cover on the ridge, according to one account in order to retrieve battle plans from the pocket of a dead comrade, and was shot down instantly. By the time he was killed, he was already a respected military and political leader. One of his Irish comrades said of him: “He was a lovely soldier.” His body has never been recovered, a fate he shares with an estimated 113,000 other Spanish and international fighters for (and civilian supporters of) the Republic who were killed between 1936 and 1945, most of them dumped into unmarked mass graves, doused with gasoline, and burnt before being covered with soil. It is hard not to feel that John Cornford’s death was an incalculable loss: to the antifascist struggle, to the global revolutionary workers’ movement, and, if he had survived World War II, to historical scholarship. He would likely have joined that remarkable group of British Marxist historians that included Christopher Hill, Eric Hobsbawm, and E.P. Thompson. Or he might have decided to devote himself to socialist political activity. He would also have continued to mature as a poet. Whatever field of action he would have chosen is undoubtedly the poorer for being without him. John Cornford stands as an example not merely of antifascism, but of revolutionary internationalism and solidarity—and of unflinching personal and political honesty and courage. With fascism once again on the rise and global capitalist tyranny crushing the working class and destroying the biosphere, his example could not be more relevant today. Hi this is a great article, thank you for writing and posting. Can we have a named author to credit? Hmmm, Cornford was a leading CPGB cadre and he possibly could have broken with Stalinism , but he didn't.,death got in the way. He had orthodox Leninist/Stalinists ideas about military discipline. As to whether it was his own idea to recruit students to fight in Spain, it seems more likely that it was on the orders of the Comintern. A tad too uncritical a portrait of Cornford in my opinion.